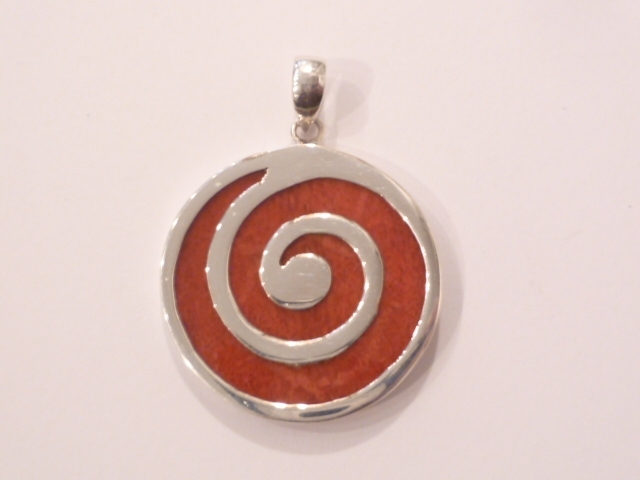 Beautiful sterling silver and red coral spiral pendant. Presented in a gift box. Size - length 4cm (including bale), width 3cm.